Still getting organized a bit over here. Recently, we found an old shoebox full of photos and negatives that I’d squirreled away from Mom’s basement many years ago. I was relieved to see it; I was worried I’d lost it entirely. 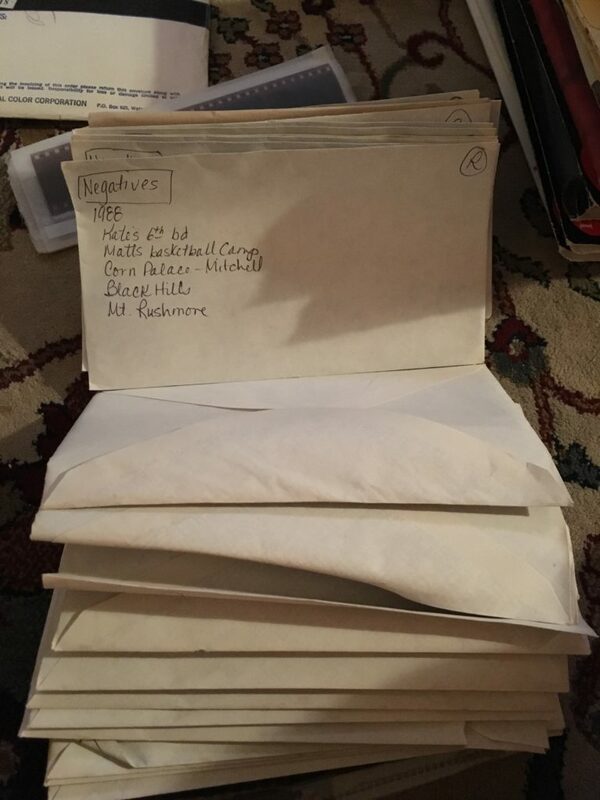 There is, of course, priceless documentation of the ’80s and ’90s inside. Me in knee-high striped socks. Fanny packs, cuffed jean shorts, silk shirts. Aw, look at the acne. 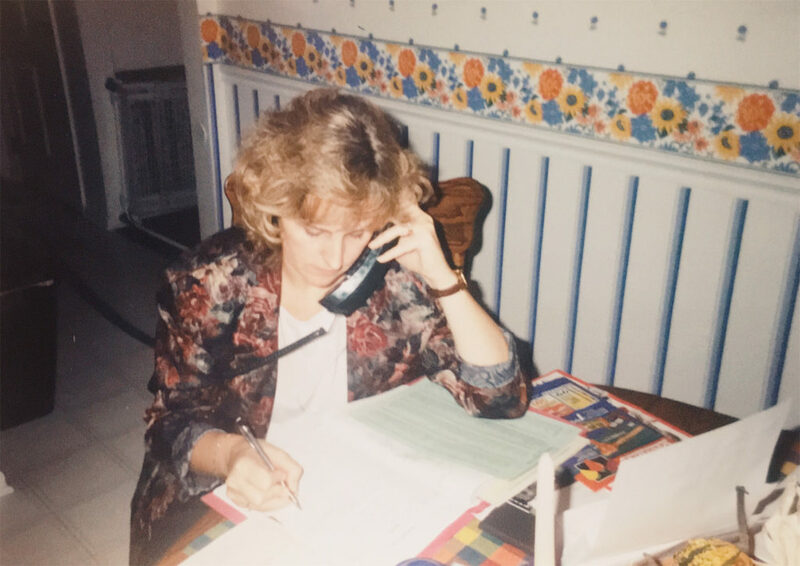 Here’s one of Mom from the silk shirt era, looking every bit the part of early ’90s working woman. This photo is full of distractions. I mean, look at those shoulder pads! And the wallpaper, the folks really sweated that. Anyway, the photo is really of Mom’s professional life, and how seriously she took it. There are decorative gourds on the kitchen table, so we can be certain it was decorative gourd season; from that, we can infer school must have been in session. Mom worked when school was in session. She brought these enormous binders full of instructional material home. She graded, she prepped. She worried about kids, their parents and increasingly, as she navigated the Cedar Rapids Community School District’s professional ladder, her teachers and staff. She rarely came home late, that I recall, but she did bring her work home with her, which this photo plainly shows. I recognize that tendency in myself, when work demands more attention but staying away from family feels like an unacceptable sacrifice. If Mom felt like I do, those circumstances made her feel like she wasn’t attending to either responsibility particularly well. Of course she was. Now that I have a career of my own, it’s easier to understand Mom’s. What drove her? What challenges did she face? What was she proud of? Time to call her up and see how she remembers it.